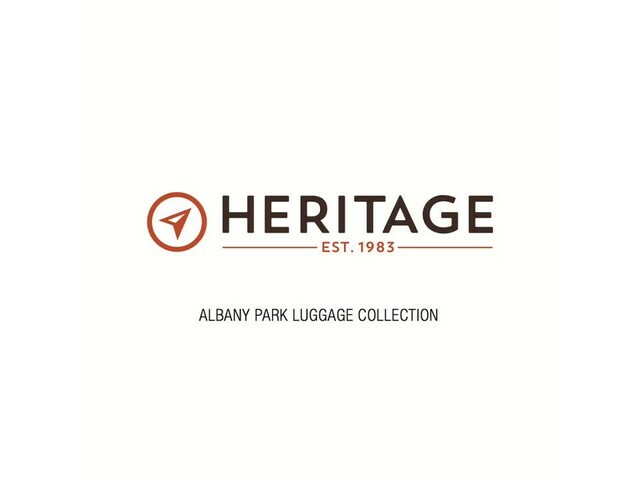 Heritage 'Albany Park' Luggage Collection. 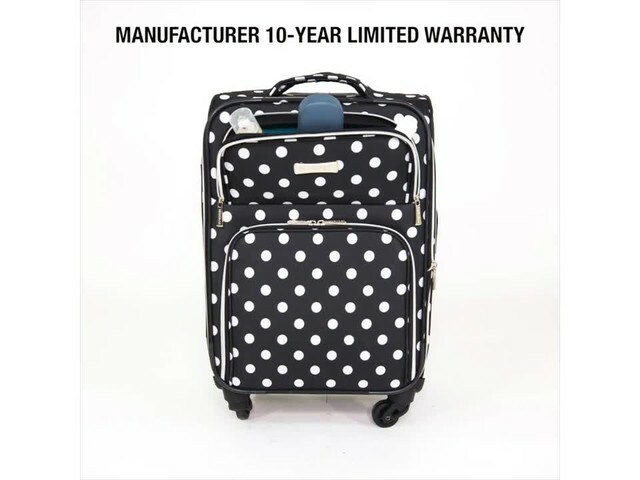 Stroll In Style With This 20”, 24”, & 28” Lightweight Polka Dot Printed 600D Polyester 4-Wheel Expandable 3-Piece Upright Luggage Set. Boasts 4-wheel spinners that allow for effortless 360° navigation while on the move and an ultra-lightweight construction. 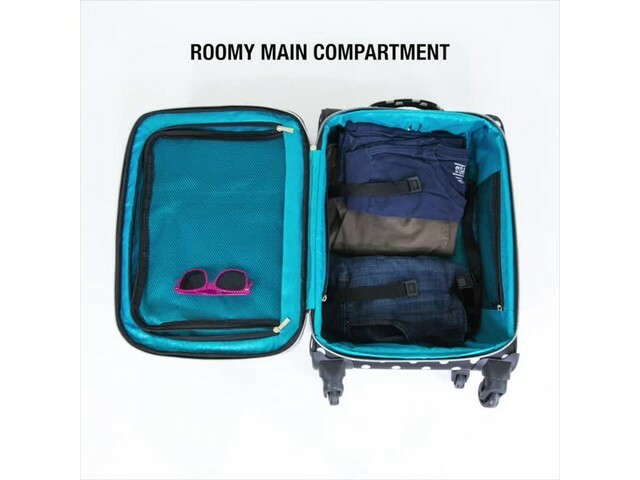 Luggage expands an addition 2.0' inches for additional carrying capacity when needed and two exterior easy-access pockets for additional storage. 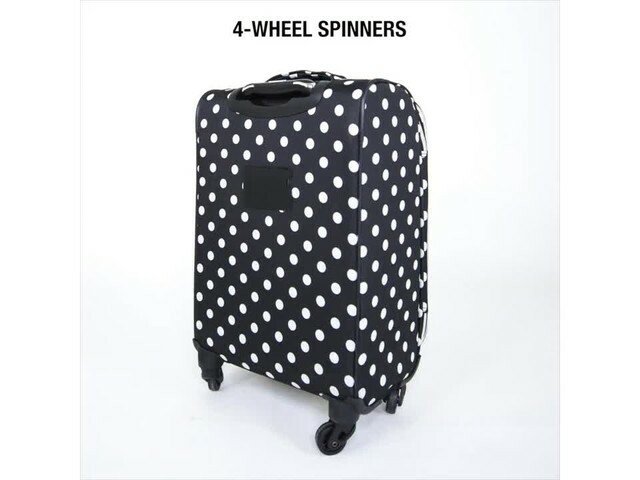 Features a fully lined colorful interior lining and plenty of space for packing all your travel essentials. 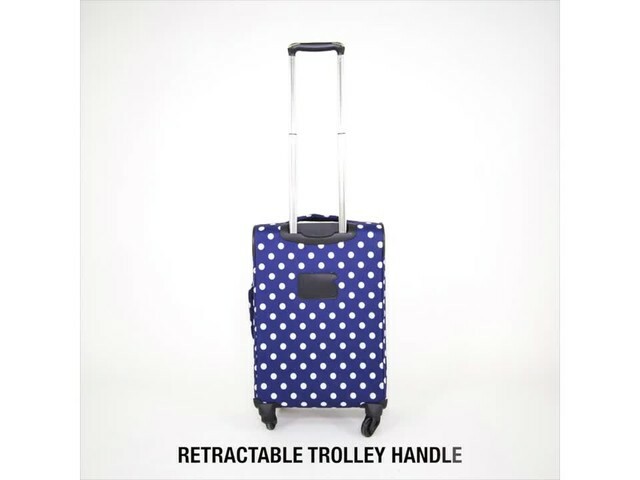 The perfect fashion-forward polka dot luggage for those whom value both style and function. 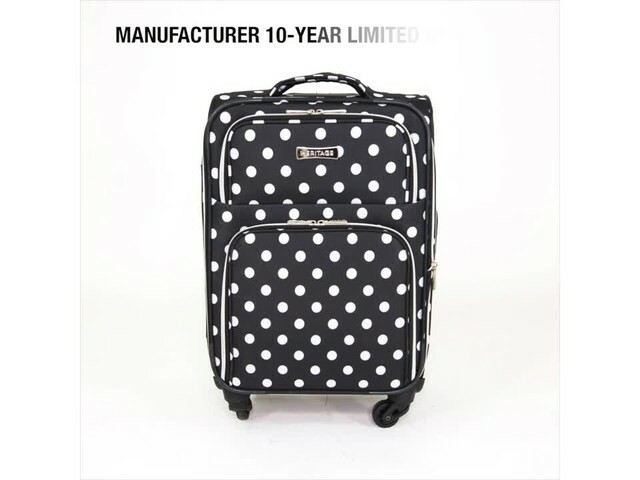 Heritage Charter Park 20" Expandable Hardside Spinner Carry-On..
Ricardo Beverly Hills Montecito Micro-Light Collection..